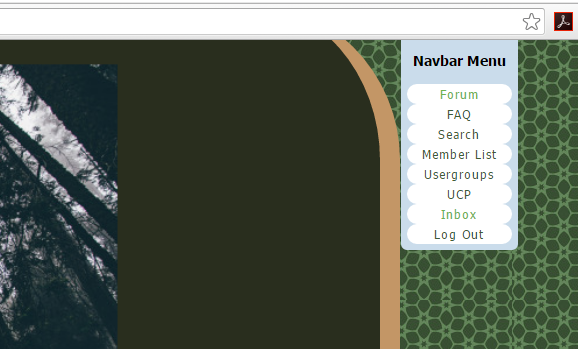 The NavBar is located in the top right of your screen. To see the entire navbar, move your cursor over the navbar image, click it, and it will drop horizontally, showing the entire menu. For mobiles displaying the menu in "Classic Mode", just tap the navbar and it will scroll. When do I know I have a Message? The NavBar words of the menu will turn red. All other actions of the menu are done like normal via the steps above. If you have questions, please post them in the help forum.